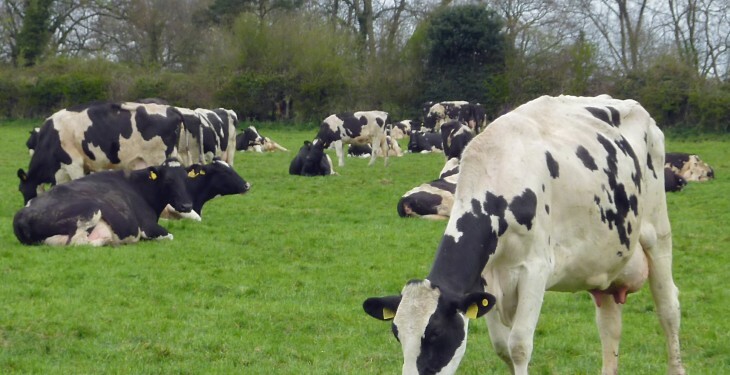 Cows in the herd over 200 days milking should have a condition score at the moment of 2.5, Michael Garvey of the College of Agriculture, Food and Rural Enterprise (CAFRE) says. Garvey says to check fat cover over the loin, pelvis and tail areas. Dairy cows that have not yet reached condition score 2.5 will need extra concentrate feeding if they are to achieve the target score at calving, he says. Garvey advises to take this into account in your parlour feeding plan. Loin – there should be a slight depression along the cow’s top line and loin. The shelf at the end of the transverse processes and flank should be filling. Pelvis – there should be a good cover of tissue developing on the plates. Tail area – there should be a good cover of tissue over the pin bones and the cavity at the tail head should be filling. July grass has the potential to produce up to 18L of milk but most farms are not achieving anywhere near this, according to Garvey. Average daily milk yield: 23.2L/cow. Average daily concentrate fed: 5.7kg/cow. Average daily milk from forage: 10L/cow. Average daily concentrate feed rate: 0.25kg/L. 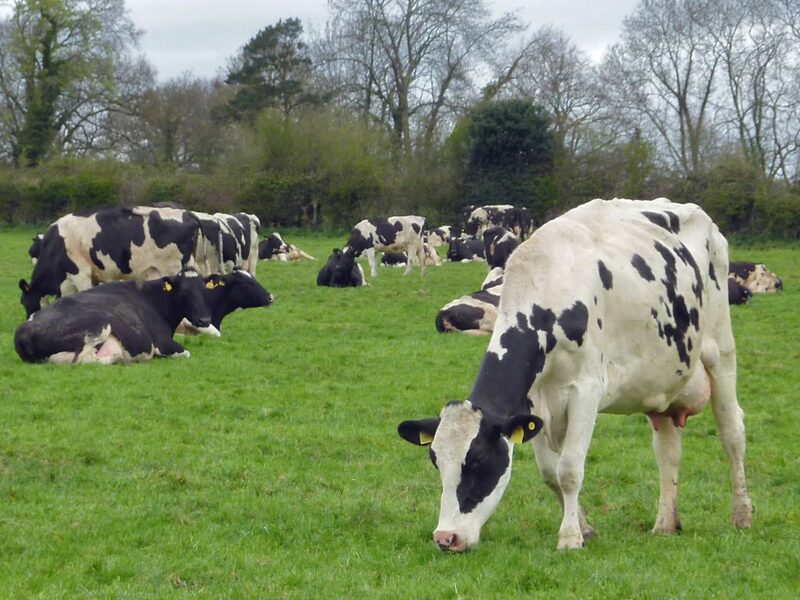 Good grazing conditions, previously topped swards and the availability of after-grass means your herd has the opportunity to graze good quality grass and you should target 18L, according to Garvey. At the current milk price, use in-parlour feeding to target concentrates to those cows that most need supplementary feeding, he advises. Stale cows that are yielding less than 18L should not receive any concentrates – let your grass do the work, but higher yielding cows need feed, he says. Garvey says you should still apply 35kg of N per hectare after each grazing round. Research at the Agri-Food and Biosciences Institute has shown CAN is the most effective source of fertiliser Nitrogen during the summer months, he says. Therefore apply 125kg ‘chalk’ per hectare (50kg bag per acre), Garvey says.